Both the U.S. Senate and the House of Representatives are in recess this week. In the wee hours of the morning of Saturday, Feb. 19, the House of Representatives passed House Resolution 1 (H.R. 1), with amendments, largely along party lines, by a vote of 235-189. H.R. 1 is a Continuing Resolution (CR) to keep the government operating through the end of FY2011 (Sept. 30, 2011). The CR largely reflects the Congressional Republicans demand for spending cuts and deficit reductions, and it represents the largest single discretionary spending reduction in the history of Congress. The CR contains about $100 billion in cuts from the President’s FY2011 budget request — $81 billion from non-security programs and $19 billion from security-related programs. 21st Century Community Learning Centers would be cut by $100 million, and two college access programs would be cut: TRIO by almost $25 million and GEARUP by 19.8 million. The elimination of a number of programs aimed at improving reading and writing, including Even Start Family Literacy Program ($66.5 million), Mathematics and Science partnerships ($180 million), Striving Readers program ($250 million), the Obama Administration’s new High School Graduation Initiative ($50 million), Literacy Through School Libraries ($19 million), Education Technology State Grants ($100 million), Foreign Language Assistance ($26.9 million), The National Writing Project ($25.6 million), Ready-To-Learn Television ($27.3 million), Civic Education ($35 million), Elementary and Secondary School Counseling ($55 million), Smaller Learning Communities ($88 million), Tech Prep State Grants ($102 million) and Teacher Quality Partnerships ($43 million). Some education reform programs would be slashed, including New Leaders for New Schools ($5 million), Teach for American ($18 million) and the National Board for Professional Teaching Standards ($10.6 million). There will be significant reductions in research and development funding at most federal agencies, including the National Institutes of Health by $1.63 billion, the National Institute for Food and Agriculture by $217 million, the National Science Foundation by at least $359 million and the Department of Energy Office of Science by $893 million). This is by no means a comprehensive list, but it helps to illustrate the magnitude and breadth of the cuts. For the Pell Grants, we have almost 7,500 students who currently receive Pell funding. Our students rely on this funding to help them pursue their dream of a higher education. If these cuts survive, the average decrease in our students Pell grant award this year would be approximately $600 per student – money that would need to be returned to the federal government. These students already have demonstrated that they need this funding. In fact, the average parental household income for our Pell students is $19,815. Under the Federal Supplemental Educational Opportunity Grant program, another program that might be eliminated, we have close to 700 students, and the average parental household income for students receiving financial aid under this program is $16,309. In addition, many of our faculty rely on competitive federal grants to help with their research projects. Reductions in these federal research and development programs result in fewer projects being funded and, given the competitive peer-review nature of the programs, the awards that are made tend to go to the largest research institutions. I would encourage you to visit the NIU Office of Sponsored Projects website to see how important these federal programs are to the university. The reductions in funding for the Department of Energy Office of Science will negatively impact the operations of both Argonne and Fermi national laboratories, resulting in thousands of direct and indirect layoffs, and they will likely impact some of our joint research projects and joint faculty appointments. The current Continuing Resolution is set to expire on March 4, 2011. The Senate has yet to act on H.R. 1 and with this week’s recess, they will have very little time to act before the current CR is set to expire. The Senate Democratic majority are indicating that given the current high level of unemployment and economic climate, this magnitude of cuts would irreparably harm some of our most vulnerable citizens and be detrimental to the United States. President Obama has indicated that he might consider vetoing HR 1 should it pass the Senate. The budget debate will continue over the next week or two, with several scenarios that might play out. There is talk of a government shut-down. This has not occurred since the Clinton Administration, but it is a very real possibility. A second scenario would be that another very short-term CR would be passed to allow more time for the Senate to act on the CR and then to reconcile the bill with the House. There could be any number of other scenarios, but most people expect a very contentious debate on Capitol Hill. The Voices section of NIU Today features opinions and perspectives from across campus. 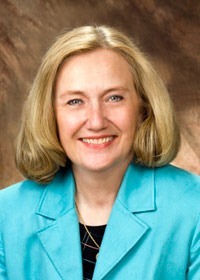 Lori Clark is director of federal relations for NIU. Barack ObamabudgetFederal Relationsfederal spendingLori ClarkOffice of Sponsored ProjectsPell GrantU.S. CongressWashington D.C.